Bilgola Beach and ocean waters offshore - photo by Mike Lehmann. What started out as the first swim of the Pittwater Ocean Swim Series, the Bilgola Ocean Swim will now be the last swim of the summer series. The Ocean Gods presented us with some extreme surf conditions on 14th December 2014 and the swim was cancelled. 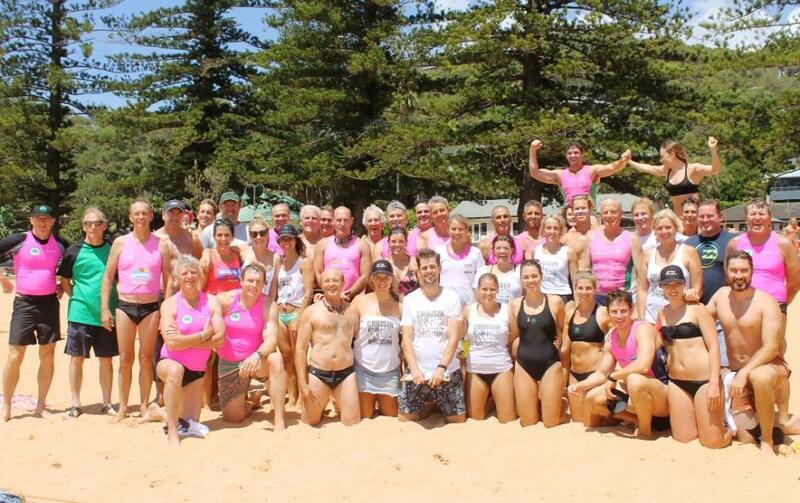 We have now rescheduled the Bilgola Ocean swim to be held on Saturday 31st January 2015. This time hoping for the Ocean Gods to deliver near perfect swimming conditions. We have an 800m swim commencing at 9.00AM and our 1.5K swim starting at 10.00AM. All online entries for the 14th December 2014 swim will still be valid for our rescheduled swims on Saturday 31st January 2015. 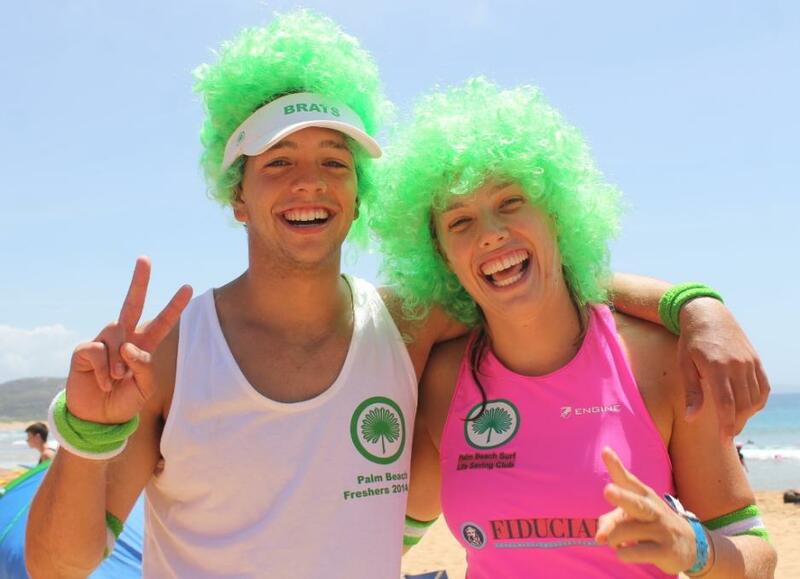 Entries can be made online at Oceanswims.com.au up to 3.00pm on Friday 30th January 2015. Entries on the day can be made up to 8.45am for the 800m and 9.45 for the 1.5 K swims. There are overall prizes and medallions for male and female age groups. All enquiries can be made to Barry Towns on 0407 221 996. 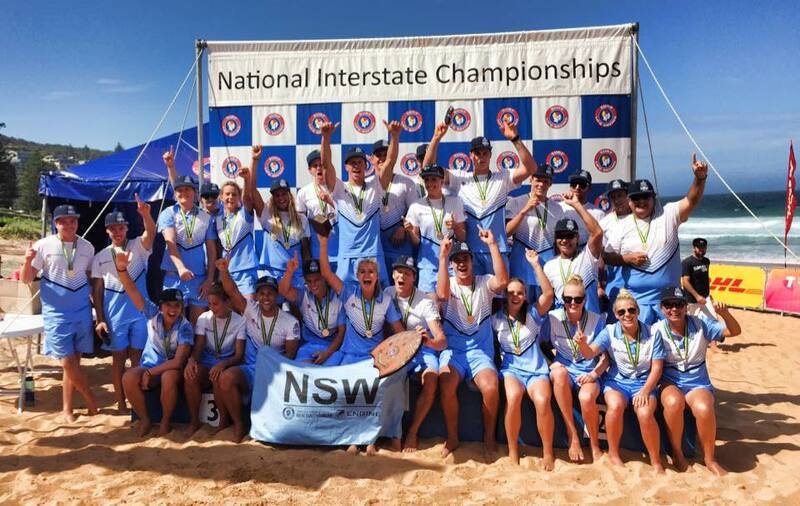 Megan Healey with her three children, Sydney, Finlay and Leilani + the great crew from Umina SLSC. Whale Beach SLSC hosted their 41st The Big Swim Today, Sunday 25th of January in perfect conditions. 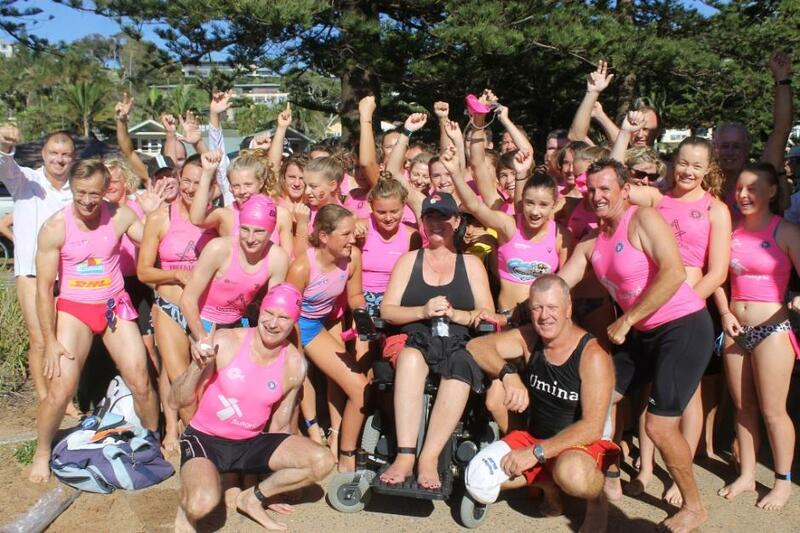 One very special swimmer,Megan Healey, who is raising funds for Kiss Goodbye to MS, had 37 Umina SLSC members with ages ranging from 12 to 67 swimming alongside her. The Big Swim forms part of what Megan calls her "Bucket List" and she, and her great team, did the swim from Palm Beach to Whale Beach in fine style. 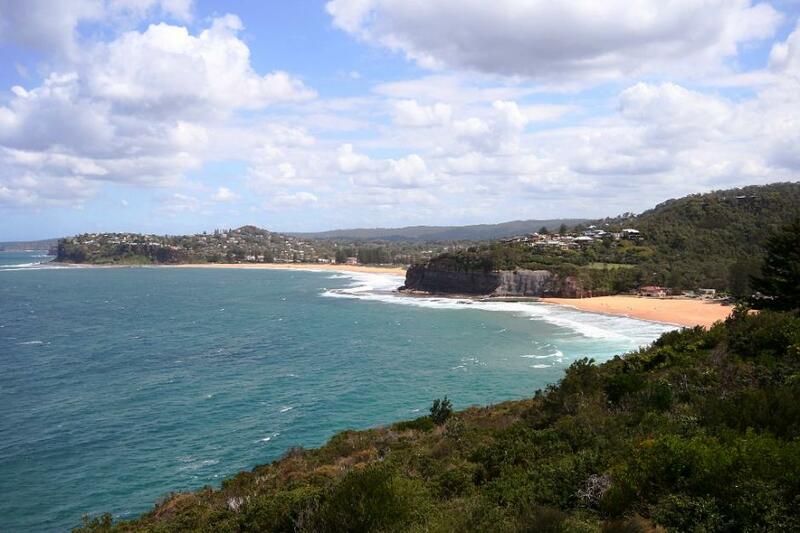 We'll run a full report on this year's Palm Beach to Whale Beach Big Swim, and the Little Swim, in our next Issue. For those who can't wait to see some of this year's pictures - we're uploading a Photo Album for you as we speak. These pictures are loaded up quite large but if you want a full MB version - just email us and we'll send it right back to you - no charge of course. 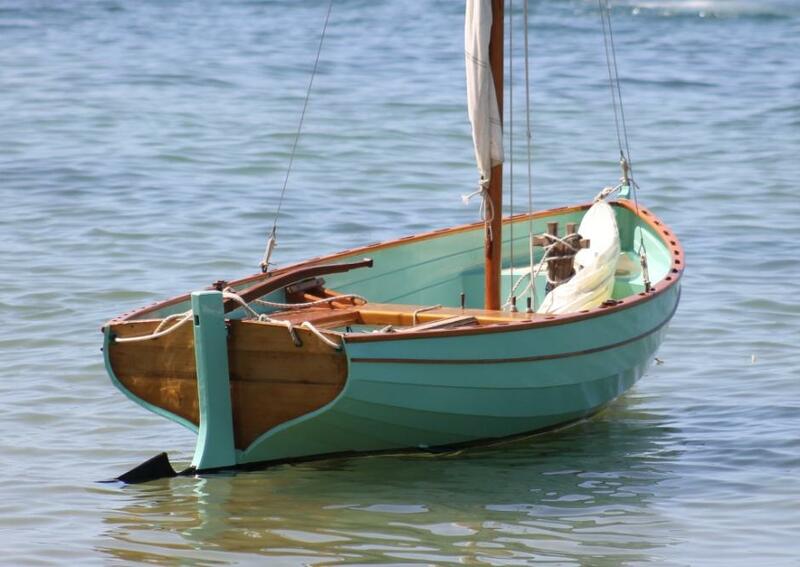 Pittwater Online News photo albums are HERE - relive those great moments and triumphs from this year's Challenge! Team Captains for the Brats 2015 - A J Guesdon picture. Every Summer the Palm Beach SLSC holds a 'Brats, Brutes and Bruisers Carnival' which brings members of the same family together to compete against each other and a few hours of fun for club members during the season's Patrols - it's all about bonding, laughing together and exercising that age old Palmy philosophy of a democracy on the sand whether you're a High Court judge or the girl in the shop on the corner who makes sandwiches during the week; 'we're equal on the sand'. 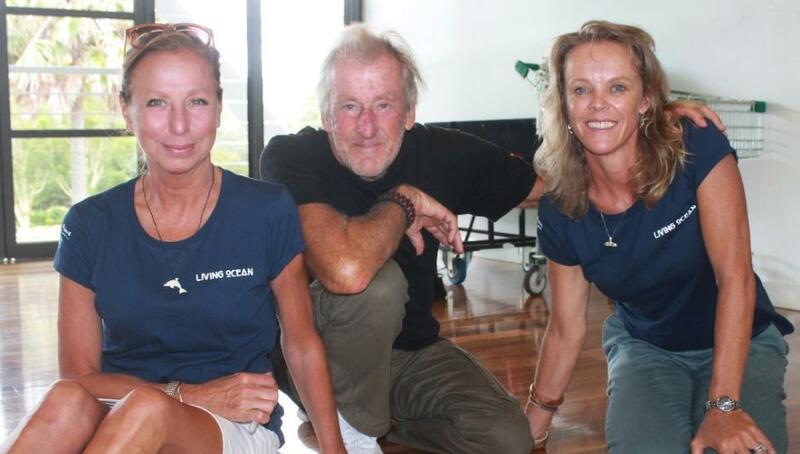 Carol, Robbi and Kim - Living Ocean founders. - AJG Picture. Boomerang Bags, where a cloth reusable bag is available instead of using the killing us slowly plastic bag, will be on offer in many Avalon businesses this year - and with more Sewing Bees to come, 2015 may see us finally have a Plastic Free Avalon.